I have started to accumulate several paper crafting supplies with the sewing theme. 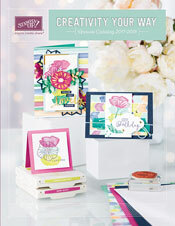 I have stamps, die cuts, and even digital images along with lots buttons, ribbon, lace and other notions. They are a lot of fun to work with. In addition to making cards, I plan to make some scrapbook pages about both of my grandmothers who were fine seamstresses and crafters in their own right. I love this Pun Funs set from Stampin' Up! It's retiring, but I'm going to keep mine since it is one of my favorites. Anyway, here is my entry for the I'm Sew Excited! Challenge in the Moxie Fab World! I hope you enjoy it.